Termites are insects that are ‘eusocial’ and ispotera. Like ants, bees and wasps they have a complex social system and will divide their labour throughout their genders, produce lots of overlapping generations (like humans) and will look after their young as a collective. 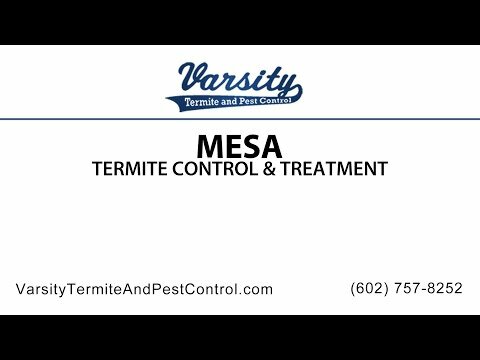 This means then that the enemy is organised and that they come in large numbers, meaning you rarely get just one termite and will often need termite control in Mesa. These termite colonies involve a decentralised and self organised system guided by ’swarm intelligence’ that allows them to exploit food sources and environments that would not be available to just one insect on its own. Termites understand the value of having strength in numbers. Their colonies will include nymphs (which are semi-mature young termites), soldiers, workers and those designated for reproduction of termites (male and female) and sometimes egg laying queens. Termites are sometimes known as white ants though this is something of a misnomer as they are not very closely related to ants. Termites will also build and look after nests which houses their colonies. These structures are formed of soil, mud, wood, saliva and faeces and again it is something that would not be possible for a single termite. This has multiple functions and provides living space, collects water, provides reproductive ‘chambers’, gardens and more. Their maze like tunnels are designed that they also provide air conditioning and maintain the temperature of the colony. As you can see then termites are a highly organised and intelligent enemy, and it is important to use termite control in order to fight them with a service that truly understands them.